Principal Notes – Thanks to the PTSA for the community meeting on Monday. It was great to have a chance to talk about Winterhaven and answer questions folks had about our school. The next community meeting is in November and we hope to see you there. A quick reminder about our drive thru area: Please remember that the drive thru is for automobiles only during morning drop off and afternoon pick up. The window of time where we only can have cars in the drive thru are basically from 8:15 am to 9 am and 2:50 pm to 3:25 pm. We ask that you please use the walkways around the drive thru or go through the building to bypass the drive thru during these times. Counselor Corner - Hey all, this week we continue to look at kindness in the K-6 classes. Besides watching a couple Thai commercials (https://www.youtube.com/watch?v=cZGghmwUcbQ and https://www.youtube.com/watch?v=iVrQqWIs6ZE ) and discussing them, we are making links in the kindness chain. The inside of each link is how we want to be treated kindly and the outside is something we can do for others. The complete chain should be up next week in the front hall! For 8th graders, the high school transition legwork is happening even earlier than the “ridiculously early” that it was last year. The high school lottery officially opens November 13th and closes December 1st. If you are thinking of going somewhere other than your neighborhood school, you’ll need to get in the lottery again. However, the district is really pushing for everyone to go to their neighborhood schools, so it is difficult to get in a different high school, other than Benson. Because of this, Benson HS will be visiting our 8th graders October 20th and showing them what Benson has to offer. I expect Cleveland and Franklin and possibly Grant to come visit in the coming months as it becomes time to choose classes (aka forecasting). One of the things that has been coming up in Winterhaven is the casual commenting on people’s physical attributes. We want to remind our students that even light hearted comments can hurt the student they are directed at as well as others who overhear. The more we can remind our kids that all of them are beautiful in their own unique way, the better all of their self-esteem will be. Related to that: In order to keep my finger on the proverbial pulse of the school, I’ve made a few needs assessments using Google forms. Please take the time to fill this out to let me know where I should be focusing my attention: https://goo.gl/forms/gGpcwQaSSU2JCfHO2. Your students also completed (or will soon) a version of this as will the staff. I’ll use this data to inform my work here at Winterhaven for the year. Our question of the week is centered on the current events in the NFL. “How do you believe people should protest injustice? What should the limits on their protests be? 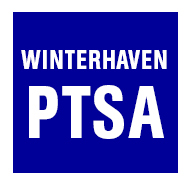 Why?” Again, these topics are in support of our PTSA’s goal to have all of our kids graduating from Winterhaven as informed, considerate, thoughtful people. Do you want to receive email from the PTSA about school events? Do you want to receive email related to your child's classroom? Current families can use this online form to ADD / CHANGE their email subscriptions or to UPDATE their family information in the directory. NOTE: If your directory entries or email subscriptions are up to date, no need to use the form. IMPORTANT: You MUST be logged in using your you@winterhavenschool.org Google email address to access the PRIVATE spreadsheet. School Pictures – Pictures are ready for viewing and ordering. Here is the link to the website: https://www.enjoyphotos.com/gallery/Login.aspx?EventGuid=D72CD643-48AA-4C07-89C5-6E4C2F64D626. User name: wh17 and Password: 23956wh17 Picture retake day is October 3 at 1:00 pm. Chess Club - Do you want be part of one of the largest and most active chess clubs in Oregon? Join the Winterhaven Wizards Chess Club! Our focus is to have fun while learning problem solving, strategy and good sportsmanship. Tournament opportunities are available throughout the year, for those interested in competitive play. Club donation: $50 per student (scholarships available, please inquire). Donations are applied to team t-shirts, chess coaching materials and software, chess equipment, scholarships, awards, and a club party. Donations accepted via PayPal (https://www.paypal.me/Winterhavenchessclub) or Check (written out to: Winterhaven PTSA Chess Club). Checks can be placed in the Chess Club mailbox in the school office. Please include your child's name on it. PTSA News -Through a combination of PTSA funds and discounts from class providers, the scholarships will cover 75% of the cost of the class, with the student's family covering the remaining 25%. Each student who qualifies for the scholarship program may use it for up to two afterschool classes per academic year. For more information, please contact Sam Kubernick (dad of Eytan (3rd) & Ayelet (2nd) atSamuelak@gmail.com.